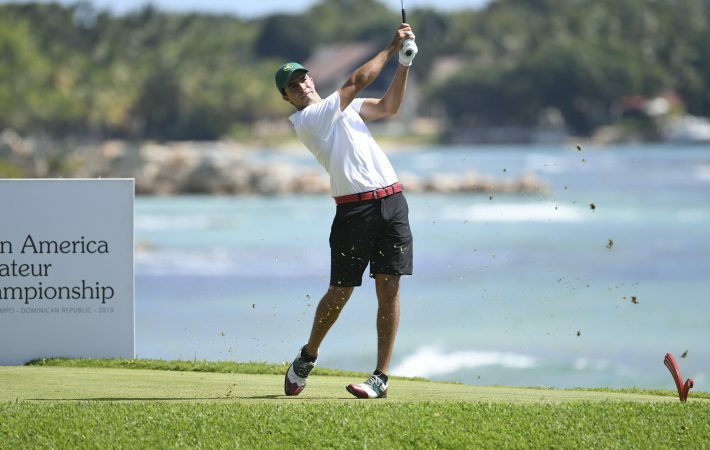 Mexico’s Alvaro Ortiz leads the way in the race to capture the 2019 Latin America Amateur Championship at Casa de Campo’s Teeth of the Dog course going into tomorrow’s final round. An invitation to the Masters Tournament and a place in the final stages of qualifying for The 148th Open at Royal Portrush and the 119th U.S. Open at Pebble Beach are among the opportunities awaiting the champion. Ortiz, who played college golf at the University of Arkansas, has now held or shared an overnight lead six times in five LAAC appearances. He is aiming to lift the trophy for the first time, however, after losing out in a play-off in 2017 and finishing second behind Chile’s Joaquin Niemann last year. The 23-year-old recorded a 2-under-par 70 for the day. He held a three-shot lead at the turn, but bogeys at the 10th and 11th brought him back to the field. Ortiz showed his resilience to bounce back with a two-putt birdie at the par-5 18th to regain the lead at 8-under-par 208. 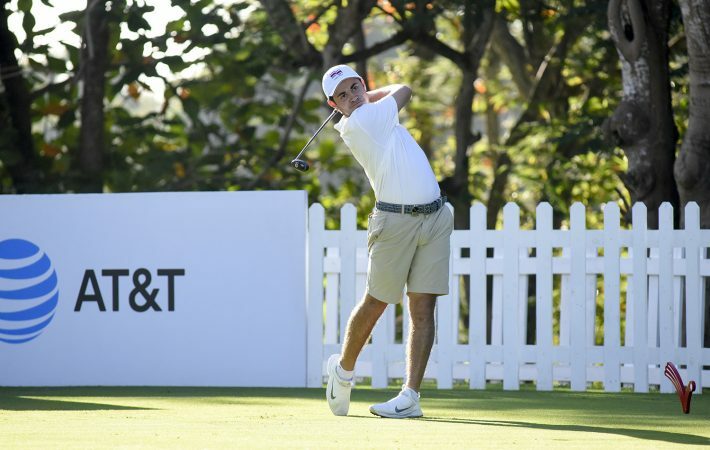 Luis Fernando Barco, the highest-ranked player in the field at 24th in the World Amateur Golf RankingTM, is in joint second place with Chile’s Agustin Errazuriz at 7-under-par. 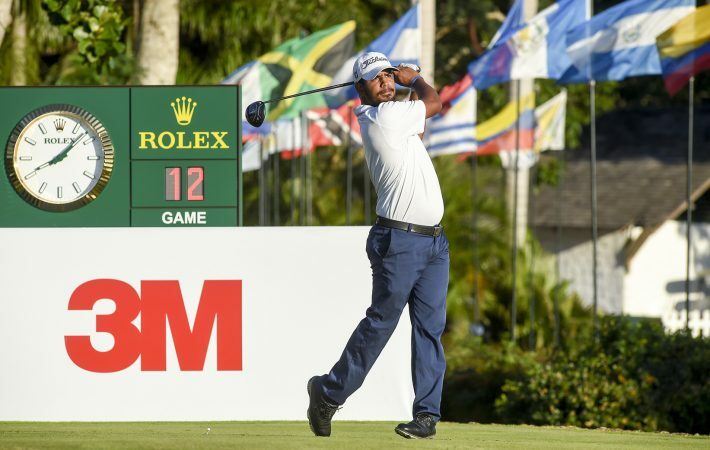 The Peruvian recovered from a bogey at the first with a birdie at the second and went on to card a 1-under-par round of 71. Errazuriz is bidding to become the fourth Chilean champion in the five years of the championship, and a birdie at the par-5 18th capped a fine round of 69 to take him to 7-under-par for the championship. The 19-year-old won the Chilean Championship and the Las Araucarias Open in his homeland last year. 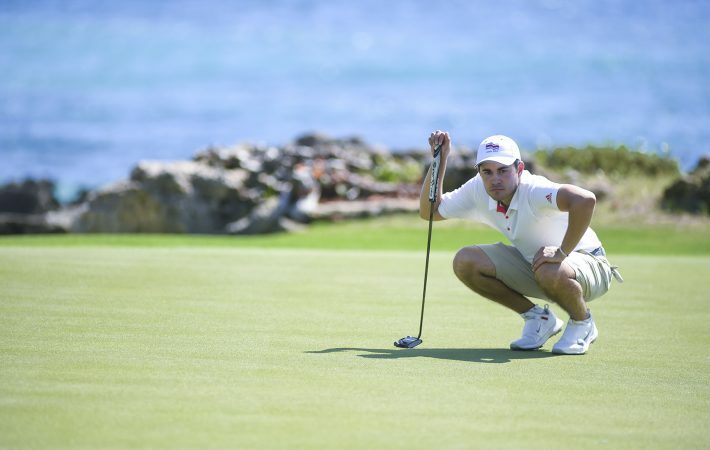 Costa Rica’s Luis Gagne, the runner-up in last week’s South American Amateur Championship in Santiago, Chile, moved to 6-under-par after a 4-under 68, with three consecutive birdies from the 13th, the highlight of his round. It was a good day for Brazil with two of its players finishing tied for fifth. Herik Machado started at the 10th and was at 1-over for the round when he produced stunning back-to-back eagles on the 17th and 18th. The 2018 Brazilian Amateur Champion followed up with four birdies on the front nine to post a 7-under-par round of 65, the best by a Brazilian player in the history of the championship, and move into contention at 5-under-par. His compatriot Fred Biondi, a two-time Florida Junior Amateur Champion, compiled seven birdies with just one bogey for a 6-under-par round of 66. Nine different nationalities are represented in the top 10 ahead of the final round, which gets underway at 7:45 a.m. (local time) tomorrow. 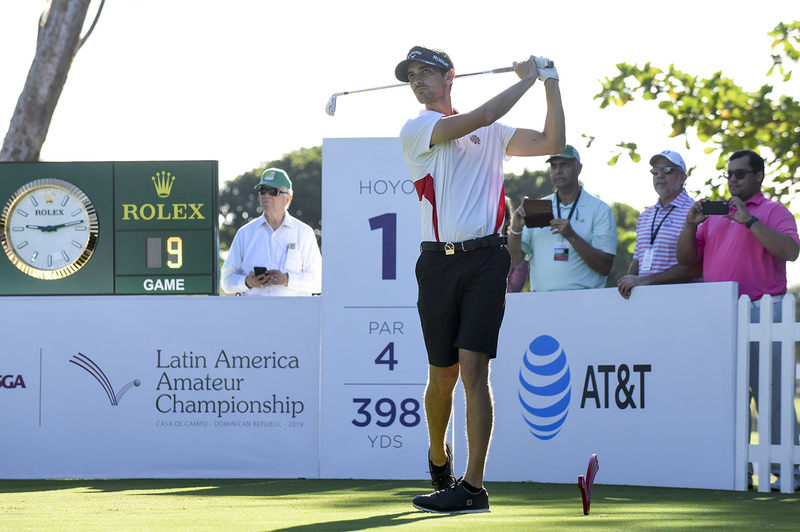 The third-round leader and two-time runner-up Alvaro Ortiz of Mexico has held the lead at the end of six rounds in his five appearances at the LAAC. His 54-hole score of 208 is two off the championship mark of 206 by Matias Dominguez of Chile in 2015. 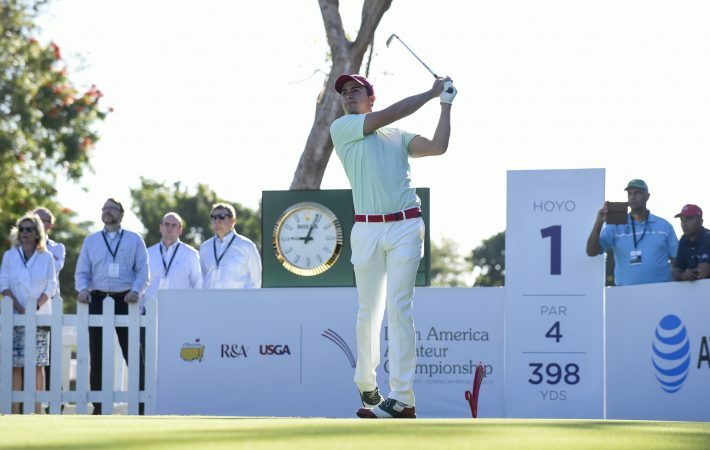 Luis Fernando Barco of Peru, who holds the highest place (#24) of the 50 players in the field in the World Amateur Golf Ranking, enters the last round tied for second at 209. 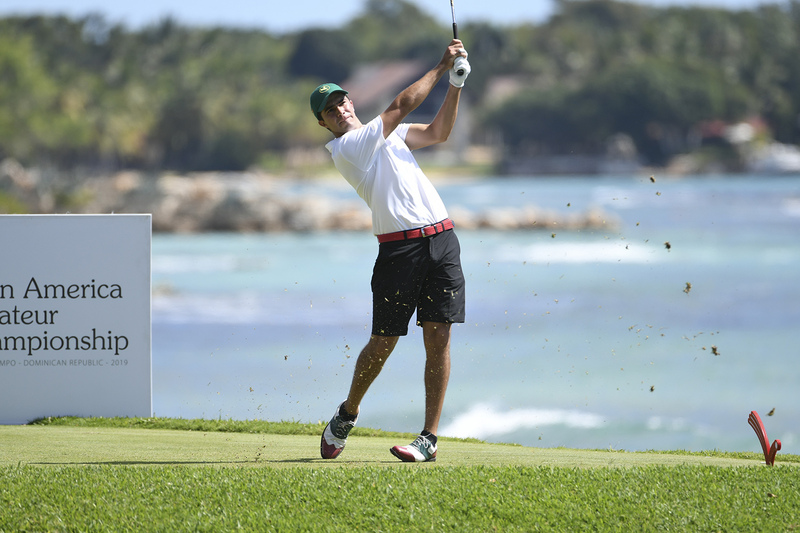 Barco finished T3 in the 2016 LAAC at Casa de Campo. Agustin Errazuriz of Chile, who is also T2, will be vying to become the fourth champion (in five LAACs) from his country. 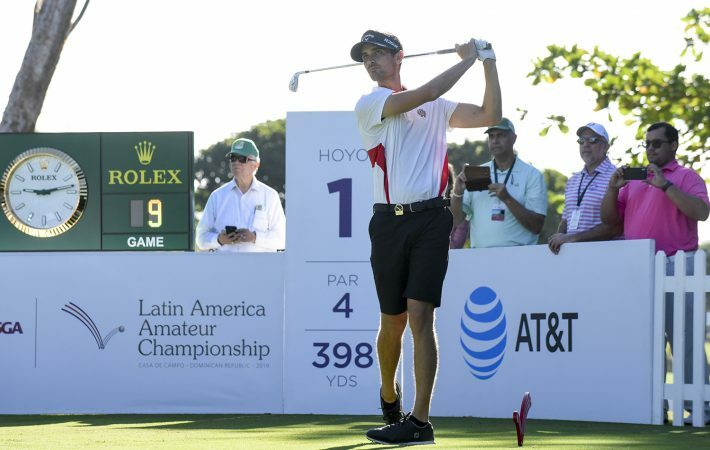 Costa Rica’s Luis Gagne, the co-low amateur at the 2018 U.S. Open, tied his country’s low LAAC score with a third-round 4-under-par 68 to hold fourth place. He was the runner-up in last week’s South American Amateur and is ranked #37 in the World Amateur Golf Ranking. The 54-hole lead in all five LAACs has been one stroke. 2019 – Alvaro Ortiz, Mexico – Rd. 4 – ??? 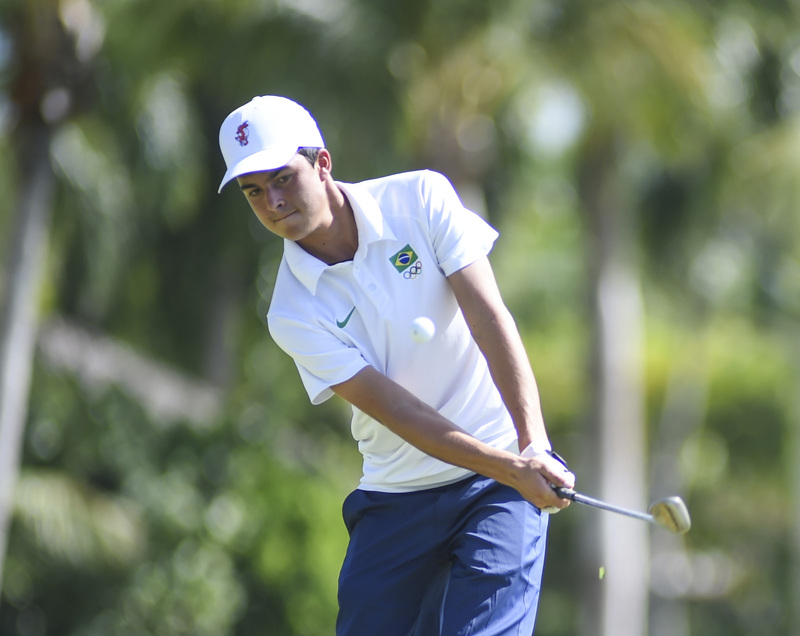 The best moves on the leaderboard came from a pair of Brazilians, who share fifth place: Herik Machado (T30 after Rd. 2), who posted five birdies and two eagles (holes 17 and 18, with a holed bunker shot on the latter) against two bogeys, to tie this championship’s low score of 65 (and a tournament record low for the third round) and Fred Biondi (T23 after Rd. 2), who registered seven birdies and one bogey for a 6-under-par 66. Machado’s 65 is also Brazil’s lowest score in LAAC history. 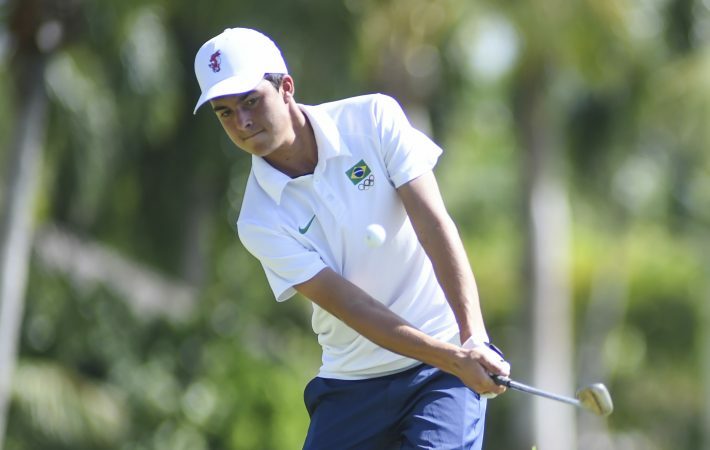 Machado, a three-time Eisenhower Trophy participant for Brazil, has a best finish of T13 in 2016 and Biondi, an 18-year-old University of Florida commit, was T33 in his first appearance in the LAAC last year. Jesus Dario Montenegro of Argentina started his third round with five consecutive birdies on his way to 6-under 30 on the opening nine, which is the second-lowest nine-hole score in LAAC history. He posted a 5-under 67. Eleven players who have played in all five LAACs made the cut: Alvaro Ortiz of Mexico, Jorge Garcia of Venezuela, Herik Machado of Brazil, Ivan Camilo Ramirez of Colombia, Jose Luis Montano of Bolivia, Luca Rosso of Chile, Jarryd Dillas of Bermuda, JJ Guerra of the Dominican Republic, Estebad Missura of Ecuador and Alvaro Ortiz and Paul Chaplet of Costa Rica. Justin Burrowes of Jamaica tied for his country’s lowest score in LAAC history, matching the 68 shot by Ian Facey in the first round in 2015. The 36-hole leader Juan Cayro Delgado, 17, of the Dominican Republic, finished with a 5-over 77 to stand at T10. Toto Gana of Chile, the 2017 champion, posted a 1-under-par 71 for the best score of the three champions in the field. 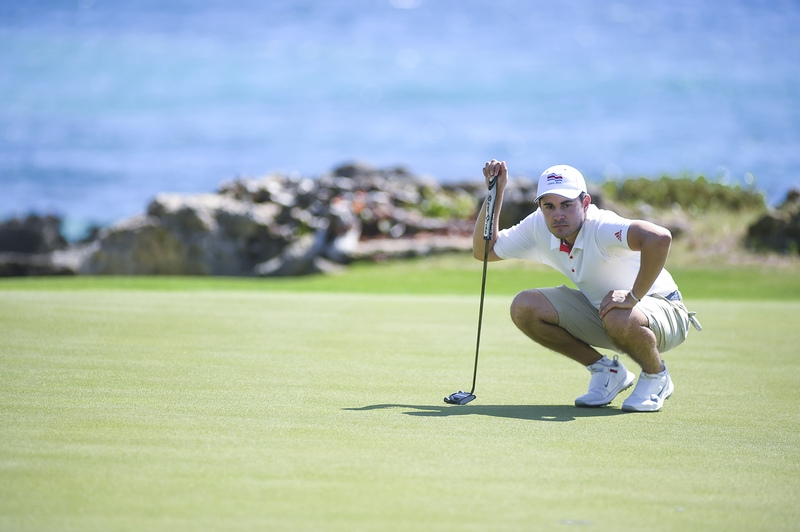 Paul Chaplet of Costa Rica, the winner in 2016 at Casa de Campo, shot 76. The 20 subpar scores in the third round surpassed the high of 16 in 2015. Nine rounds in the 60s today is a record for the third round, surpassing the eight rounds in the 60s in 2018.